One of the highlights of the Onsight Cube industrial wearable, is the built-in thermal imaging camera. 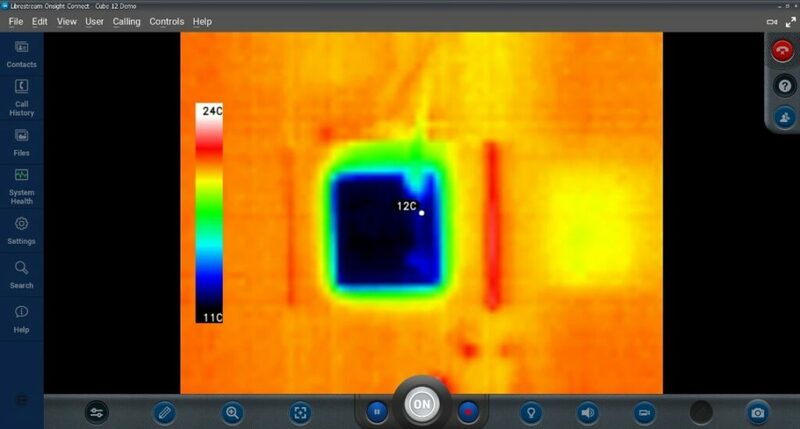 When inspecting an asset, you can use the thermal camera to view its temperature profile. This is a great tool to use to determine if the temperature of a particular feature is too cold or hot compared to its regular state. Another feature of the thermal camera is that you can tap anywhere on your devices screen to receive a temperature reading of that exact spot. This is another level of data your team can use when inspecting assets. Written by Don Freiling, Principal Systems Architect at Librestream Technologies Inc.